All of us in business look for economic indicators to help predict our future sales. A hint of optimism is found in this year’s Halloween spending. While the significant uptrend in spending most directly impacts retailers, many pundits see a rising economy. Consumers are feeling more confident, comfortable and willing to spend more money this Halloween season, much more. October is creepy crawling with Halloween customers, 8 million more than last year, according to the National Retail Federation’s (NRF) annual report on Halloween spending: http://bit.ly/2izB4lU. More than 179 million U.S. consumers, about 72% of Americans, will participate in Halloween this year, the NRF reports. More than 95% plan to buy candy, 7 in 10 plan to purchase decorations, about 69% expect to buy Halloween costumes, and about 4 in 10 will purchase Halloween themed greeting cards. Total spending for this Halloween season is projected to be about $ 9.1 billion. “Americans are planning to spend more than ever as they gear up for Halloween,” said NRF President and CEO Matthew Shay (turntoten.com). 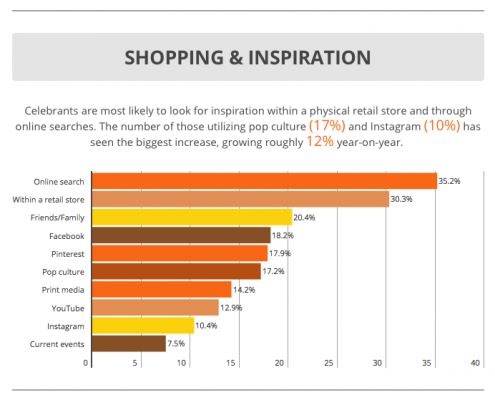 If you look at the NRF data on where consumers turn for Halloween purchase inspiration (posted below), online search is the number one result. Is your business prepared to capture your share of an improving economy? Are you effectively promoting your business to be found by more optimistic consumers, purchasing agents and decision makers? Now is not the time to have gremlins in your marketing strategy or a ghosted social media presence. Digital Pizza can help you with strategy, tactics and execution to get your share of a bigger economic pie. National Retail Foundation statistics for Halloween shopping leads. 3 Sure Signs Your Website Needs Upgrading Why Must You Claim Your “Google My Business” Listing?